They were the greatest sandwich combo of all time. Then MaraNatha came along with its slow roasted, small-batch peanut and almond butters. The taste, so good, you can eat it by the spoonful. No jelly required. And so, it was time to break up this unhealthy relationship — and start a new, disruptive chapter in the category. Big dramA. SHORT attention spans. 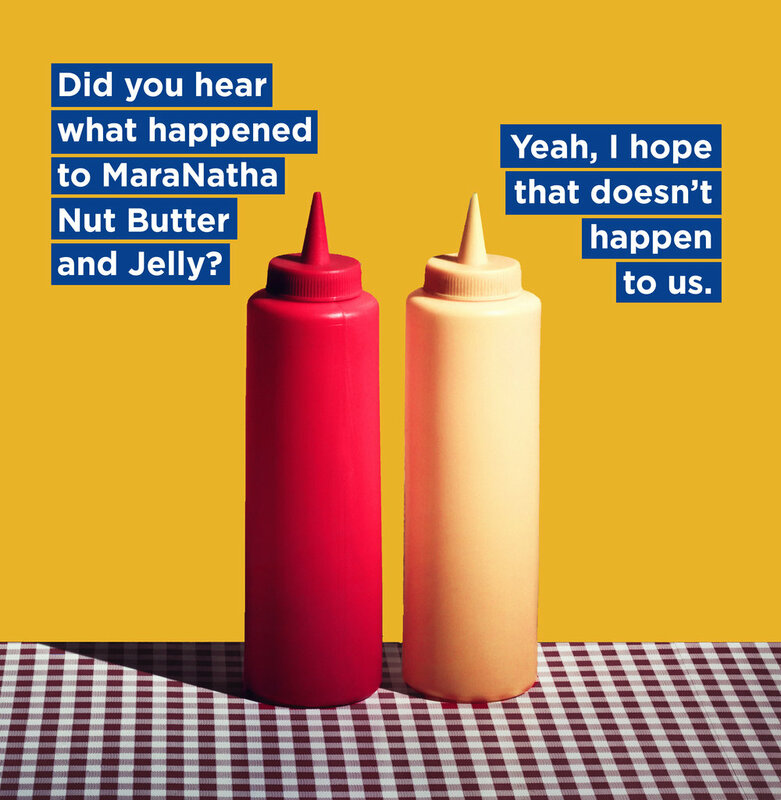 The breakup saga sends Jelly through an emotional rollercoaster. In painstaking stop motion. The drama unfolded in a series of tragicomic videos, animations, breakup tips and more. MaraNatha’s video completion rates were 28 times the benchmarks of other brands, and led to a 700% spike in site traffic. No hard feeling, ok Jelly?